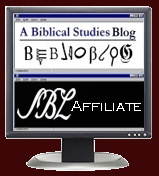 I've slowly been organizing my sermons using the Sermon File Add-in in Logos. I have over 14 years worth, so it will take a while... In the meantime, if you are planning ahead, the 2009 Preaching Calendar Folders from Morris Proctor may help you and save some time. It's a free download that provides a folder for each Sunday of the upcoming year, so you can start adding notes and ideas as you go. There is also a brief video on the site telling you how to get started. Thanks to Morris Proctor Seminars for sharing. I'm in a tradition that uses the Revised Common Lectionary, so I would prefer folders that are organized by Sunday in the designated Church year. Anyone done this already and want to share? I'd be happy to host it and give you credit.